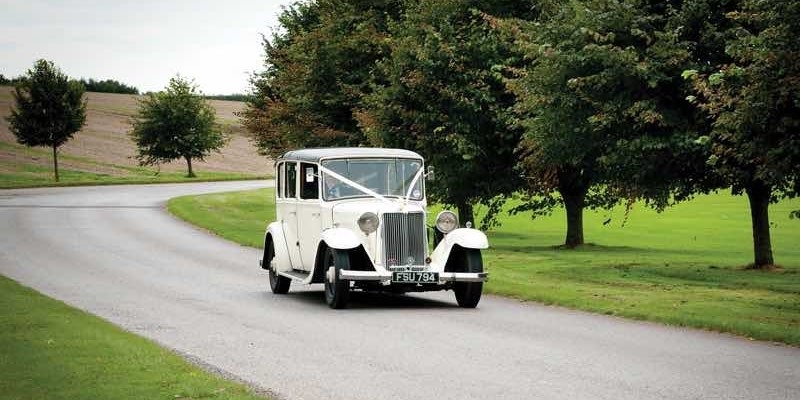 The peace and beauty of the surrounding parkland makes Cumberwell Park an ideal wedding venue. The peace and beauty of the surrounding parkland makes Cumberwell Park an ideal wedding venue. The building itself has all the characteristics and charm of a traditional tithe barn, including a Cotswold stone fireplace and a vaulted wooden ceiling with beams. Stunning panoramic views of the grounds can be enjoyed from inside the building, adding to the ambience of this tranquil location. The welcome that awaits you is warm and friendly, and the standard of service is excellent throughout. With all food freshly prepared on the premises, we hope you will find the catering exceptional. At Cumberwell Park our commitment is to make your wedding day a very successful and enjoyable occasion. 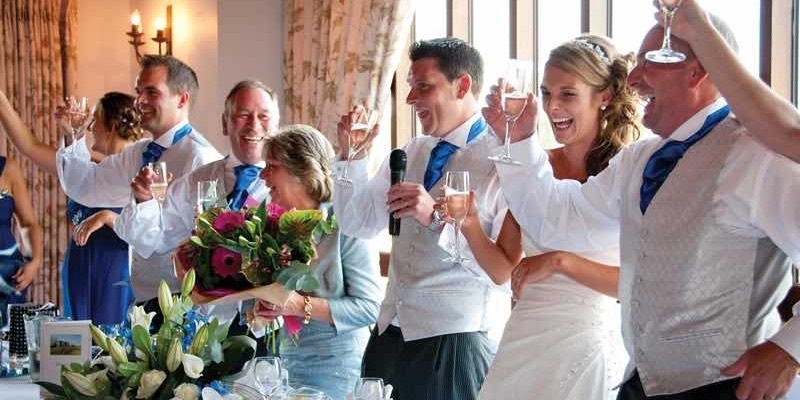 We aim to make the task of organising a wedding as easy as possible for you. It would be our pleasure to show you around Cumberwell Park, discuss your wedding requirements and answer any questions you may have. Please contact us if you wish to arrange an appointment. "A perfect venue for our wedding day. We couldn't have asked for more." Call our Events Manager Becky James on 01225 863322 today to view our venue. 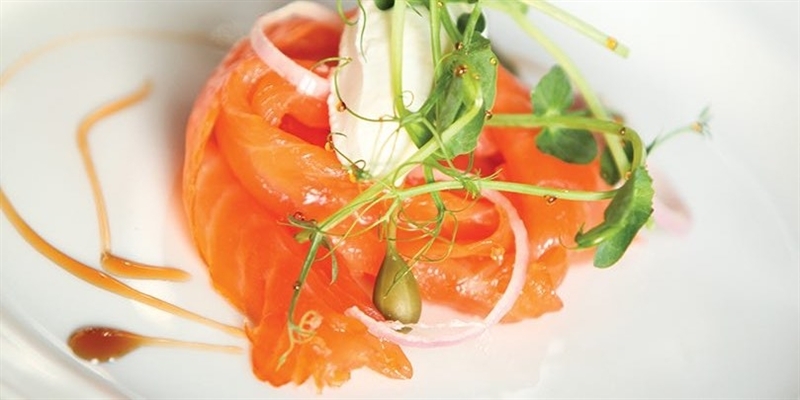 Our Head Chef uses local produce from around Wiltshire and Somerset wherever possible. 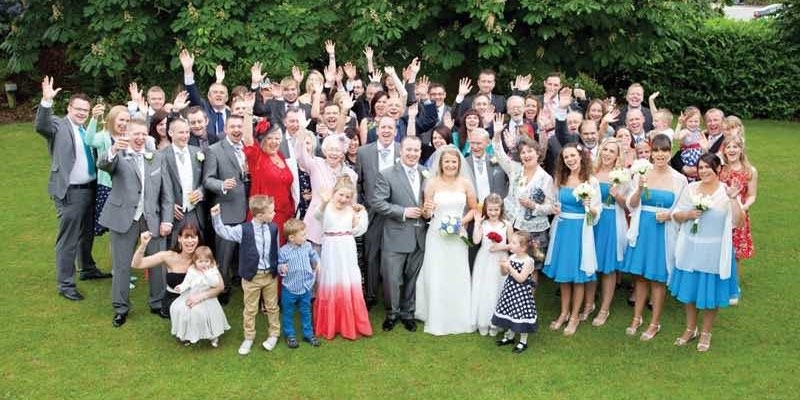 Our wedding packages include a wedding co-ordinator, room hire, full set up, free parking, a golf buggy and more! Licensed for civil ceremonies in our Rushmead Room for up to 140 people. A selection of photos showcasing our wedding venue.